The exhibition project consists of a cross section of two photographic series: “The Raw and the Cooked”, published in 2012 by Hatje Cantz, focusses on the evolution of a globalized megalopolis. 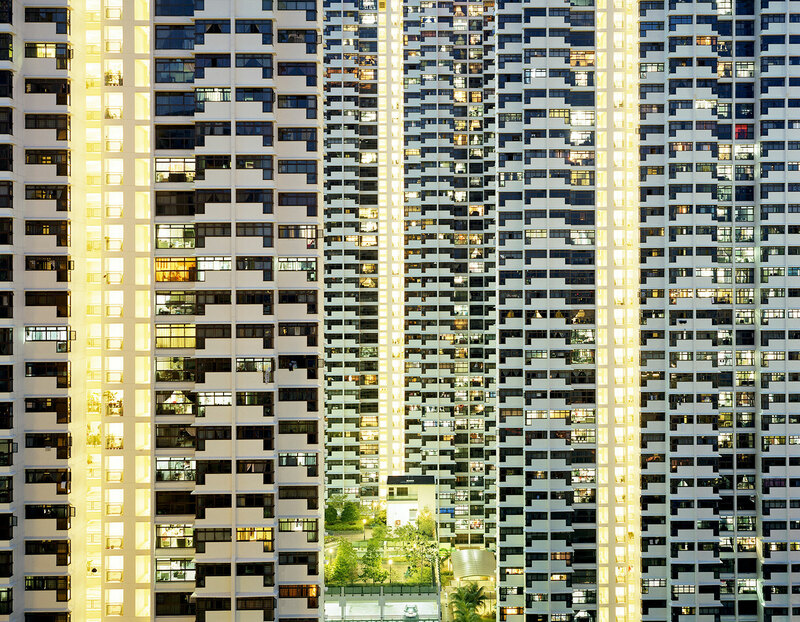 From provisional slum huts to ultra modern high rise buildings in Singapore, Peter Bialobrzeski investigates the rapid growth of urban structures. “Nail Houses” focusses on the disappearing old town of Shanghai. 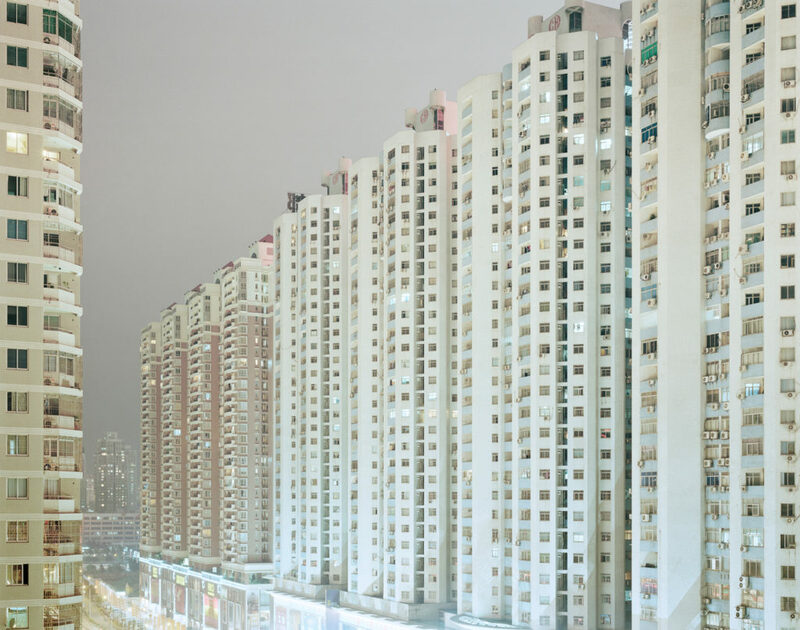 Bialobrzeski traveled to the Chinese metropolis twice in 2012 to document the demolition and change of a district already relevant in his work “Neontigers” (2004). 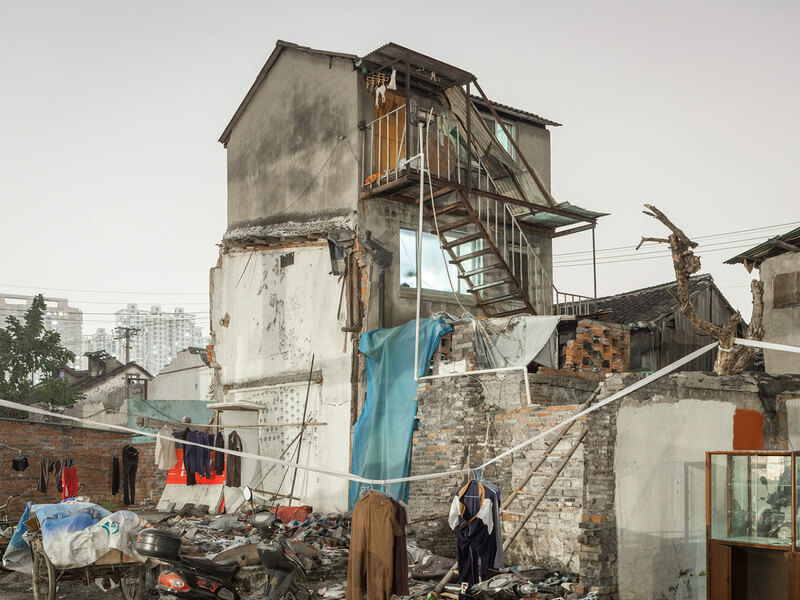 Last year he returned and finished his work, Hatje Cantz will publish the book “Nail Houses – or the Destruction of Lower Shanghai” in May 2014. The title is an homage to Danny Lyon´s classic “The Destruction of Lower Manhattan”. Peter Bialobrzeski, born 1961 in Wolfsburg, holds a teaching position at the University of Arts in Bremen. He lives and works in Hamburg. His work has been widely exhibited, published and is found in major collections both private and public. In 2012 Peter Bialobrzeski has received the Dr.-Erich-Salomon-award of the German Society of Photography (Deutsche Gesellschaft für Photographie). 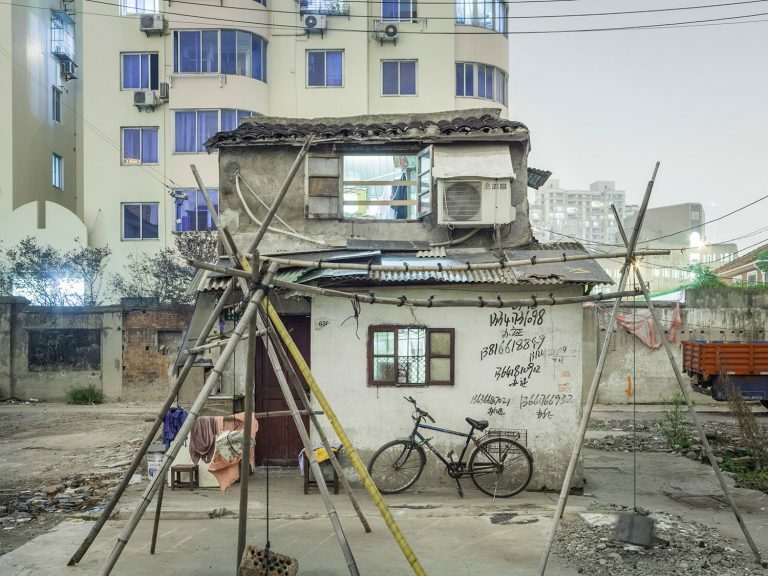 Die Ausstellung zeigt Auszüge aus zwei fotografischen Serien: In „The Raw and the Cooked”, 2012 im Verlag Hatje Cantz erschienen, thematisiert Peter Bialobrzeski die Evolution der globalisierten Megalopolis. Von provisorischen Slumkonstruktionen bis hin zu den beinahe 50stöckigen Sozialbauten in Singapur untersucht Bialobrzeski aus distanzierter Perspektive sich rasant verändernde urbane Strukturen. 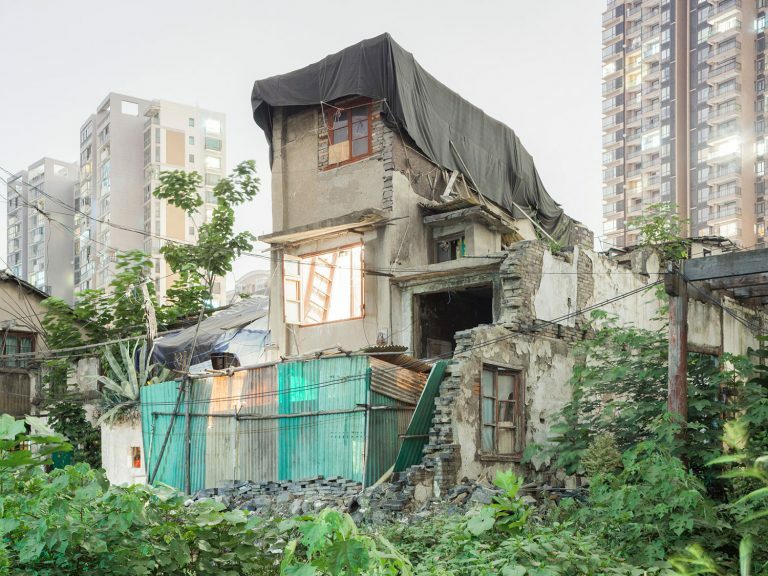 „Nail Houses” beschäftigt sich mit der verschwindenden Altstadt Shanghais. 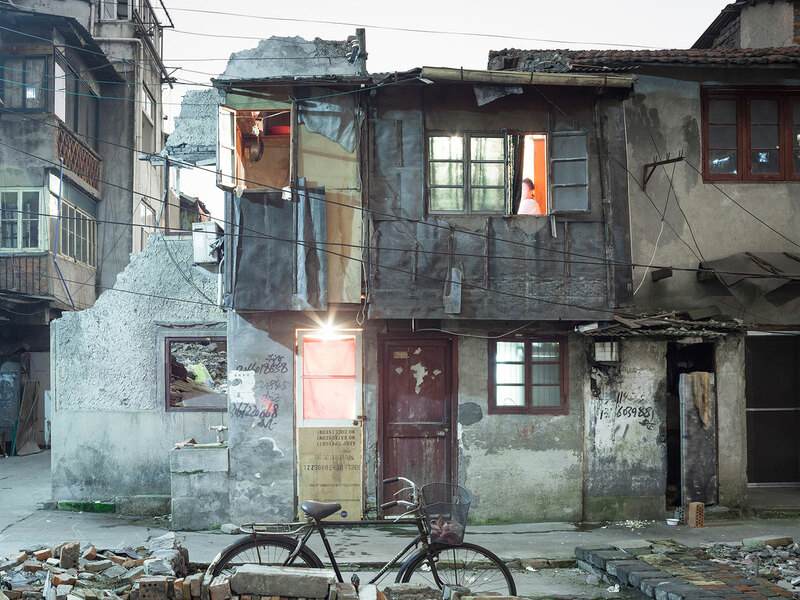 2010 reiste Bialobrzeski zweimal in die chinesische Metropole, um den Abriss und Wandel eines Viertels zu dokumentieren, das schon in der Arbeit „Neontigers” (2004) relevant war. 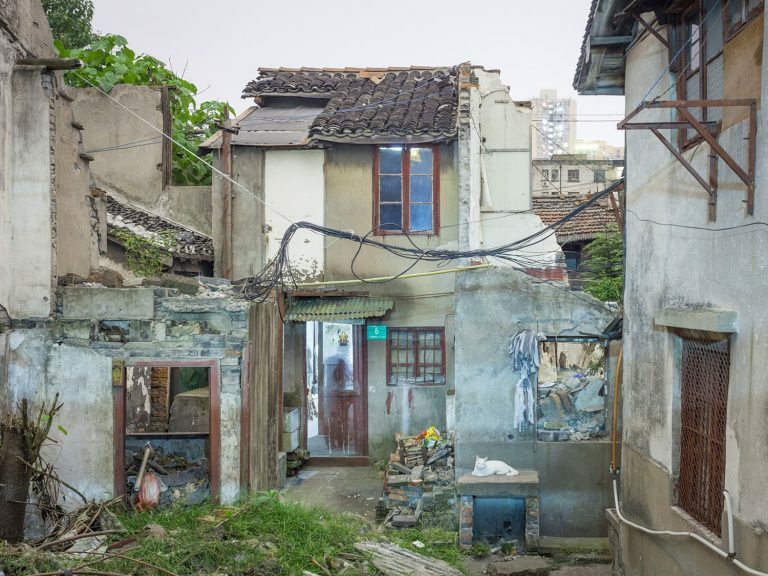 Im vergangenen Jahr kehrte er zurück und schloss die Arbeit ab – im Mai 2014 wird bei Hatje Cantz nun das Buch „Nail Houses – or the Destruction of Lower Shanghai” erscheinen. Der Titel ist eine Hommage an Danny Lyons Klassiker „The Destruction of Lower Manhattan”.